There’s a wound in our nation. It’s an injustice towards Indigenous Australians that began with colonisation and is ongoing today. Despite this injustice, many Indigenous people around Australia are thriving and proudly reviving, protecting and celebrating their Indigenous culture and identity. The wound however, is evident in the devastating statistics relating to Indigenous Australians across a range of life indicators. Discrimination and prejudice towards Indigenous Australians seems hard-wired into our society’s very DNA. So how did it start and what can we do about it? Are you aware that Australia enjoys the second highest quality of life ranking in the world? Yet when we compare Indigenous and non-Indigenous Australians on a range of life indicators, there’s a devastating disparity. These statistics reveal something deeply wrong in our nation. Why is there a statistical gap between the wellbeing and outcomes enjoyed by non-Indigenous people compared to Indigenous people? The answer goes back to the beginning of colonisation and its effects on Indigenous people ever since. The disparity we see today is a result of the lingering injustices of colonisation - dispossession, exploitation and violence that started at first contact. In many instances, this has resulted in the transmission of poverty, poor health and other forms of disadvantage from generation to generation. Australia is the only Commonwealth nation where a treaty doesn’t exist between the colonisers and Indigenous people. 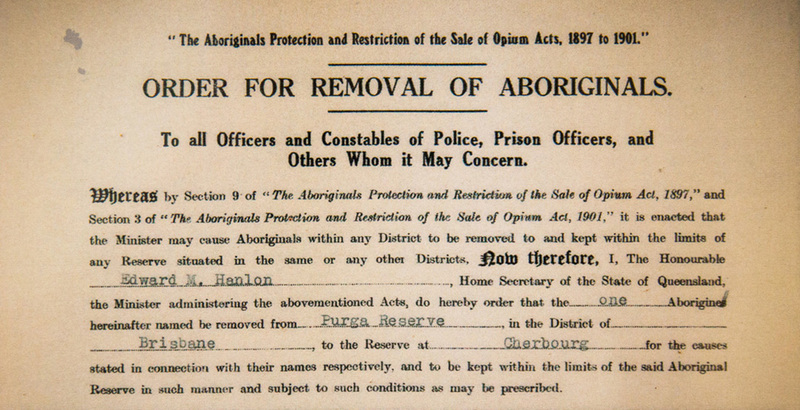 The absence of a treaty is at the very heart of the historical injustice in Australia. The continued lack of treaty with Indigenous Australians shows an ongoing denial of the prior occupation and dispossession of Indigenous people in Australia and a general disregard for a dispossessed people. It’s a reminder that disrespectful colonial attitudes still haven’t been addressed. Institutional injustice is when government policies marginalise some people. This clearly occurred at the beginning of colonisation when Indigenous people were “legally” dispossessed and exploited. However, the formal structures and institutions of the time set up a legacy of discrimination against Indigenous people. This is now played out in the current social statistics such as incarceration rates, NAPLAN* results and employment rates. Some improvements have been made with the granting of certain rights in the 1960’s and recognition of Native Title in 1993. However, these changes haven‘t been enough to reverse the negative impact past policies continue to have on Indigenous Australians. To understand the full extent of the challenges Indigenous people face today, it’s vital to understand how the impact of colonisation on Indigenous culture has affected people. This is because Indigenous identity is inextricably linked to land and family. When Indigenous people were dispossessed of their land, they were dispossessed of a major part of their identity. The enormous impact of this was heightened when people were also separated from their families. This is a major underlying cause of many challenges Indigenous people face. Indigenous Australians experience some of the worst discrimination in the country. This includes unfair and negative stereotypes such as being lazy, violent and alcoholic. Many Australians also presume that ‘real’ Indigenous people only live in the desert, when in fact a third of all Indigenous Australians live in major cities. Instead of simply accepting what the media and society say, it’s important to listen to Indigenous people share about their identity as Indigenous Australians and what this means for them personally. Whilst being Indigenous means different things to different people, for many Indigenous people, it’s about being connected to Country, community and culture. It has nothing to do with many of the myths and stereotypes about Indigenous Australians which perpetuate discrimination. The colonial system brutalised many of the early British convicts who were removed from their land and families and subject to control, severe punishment, forced labour, abuse and harsh living conditions. However, since that time, many non-Indigenous Australians have accumulated significant socio-economic advantages as a result of colonisation, and these benefits have come at enormous cost to Indigenous people. The injustice experienced by Indigenous people is at odds with our national values, the things that make us proud to be Australian. It affects everyone living on this land. Because of intolerance, mainstream Australian culture has missed many opportunities to inherit aspects of rich Indigenous cultures and deep knowledge of the land we all live on. Despite our disturbing history, there‘s significant goodwill in Australia. While considerable effort has been made to set things right, many attempts to address injustice and disadvantage are simply not working. That’s why Australians Together focuses on respectful relationships and connections between Indigenous and non-Indigenous people. We’re passionate about addressing the wound in our nation by changing the way we understand one another. We know that coming together respectfully has the power to change everything, to address the wound in our nation and create a better-shared future for all Australians. The 2016 Reconciliation Barometer, researched and produced by Reconciliation Australia, shows that, whilst there have been improvements in the relationship between Indigenous and non-Indigenous Australians over the past years, significant issues remain. The report reveals low levels of shared trust between Indigenous and non-Indigenous Australians, as well as high levels of racial prejudice experienced by Indigenous Australians.